Back in 2016 I finally made the decision to ditch my disposable makeup wipes and find a more sustainable alternative. After a lot of research, I found the perfect alternative. 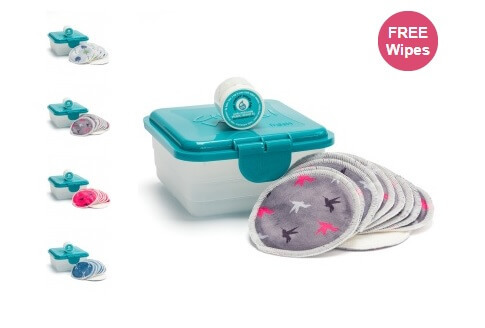 The *reusable baby wipes come in a variety of different colours and you can buy different pack sizes, varying from 10 wipes to 40. The majority of the wipes are made from bamboo velour and cotton terry. Bamboo is really absorbent which is what makes these wipes so efficient. It’s also naturally anti-bacterial. 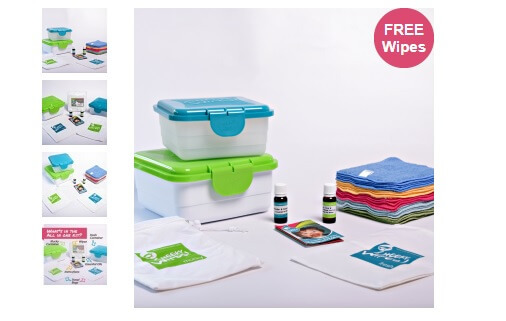 You can either buy a pack of wipes or buy a washable wipes kit. Prices for the wipes start from around £6.50. 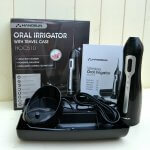 The whole kits start from around £19.49. 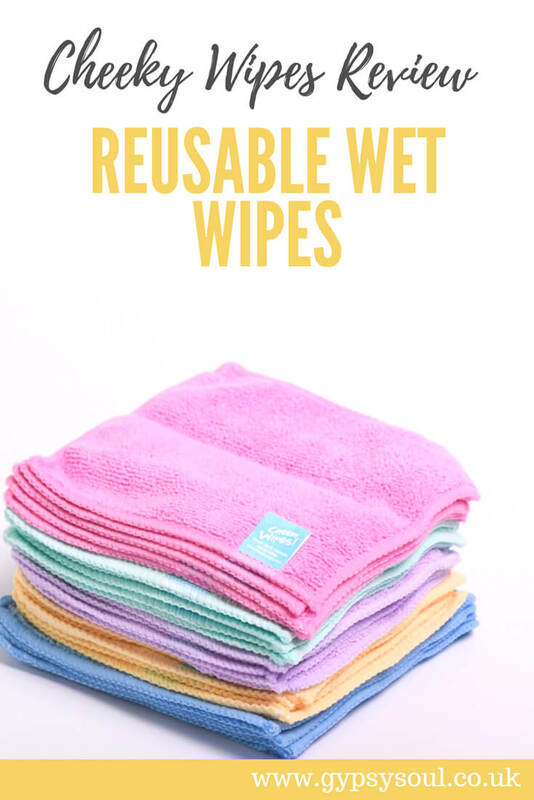 I really wish I had known about these reusable wipes when ours were little as I would definitely have used them myself. I bought my reusable makeup wipes back in 2016 and I still use them to this day. They are really easy to use and I love the fact that I’m no longer throwing away a disposable wipe every time. You can either buy the wipes separately or get one of the *reusable makeup removal kits. The makeup wipes follow the same principle as the wet wipes although you don’t need the wet bags for them. The way I use my wipes is by filling my sink with warm water. I then soak a wipe whilst I apply a little bit of coconut oil to my face. 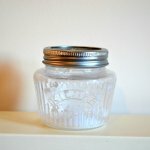 Coconut oil is amazing for removing makeup! I then simply use the wipe to remove my makeup. I have done this every time I have worn makeup over the last 2 years. When I’m done I put the wipe in our dirty basket ready for washing. It’s so simple. Personally, I didn’t buy the round makeup wipes. I bought the square baby wipes and they work really well for your face. Prices for the makeup wipes start at £6.95. Prices for the reusable makeup removal kits start at £20.95. 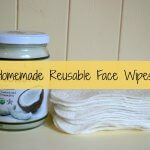 Why Switch to Reusable Wet Wipes? Before I got my wipes I used to buy the Simple face wipes. They cost around £3.29 (13p each) for a pack of 25. I normally bought one pack a month as I don’t wear makeup every day. So in a year, I’d spend £39.48 on disposable wipes. I spent £16.95 on the 25 natural bamboo velour wipes and I’m still using those wipes 2 years later. They are also showing no signs of wear or tear so I imagine they will last me a significant amount of time more. 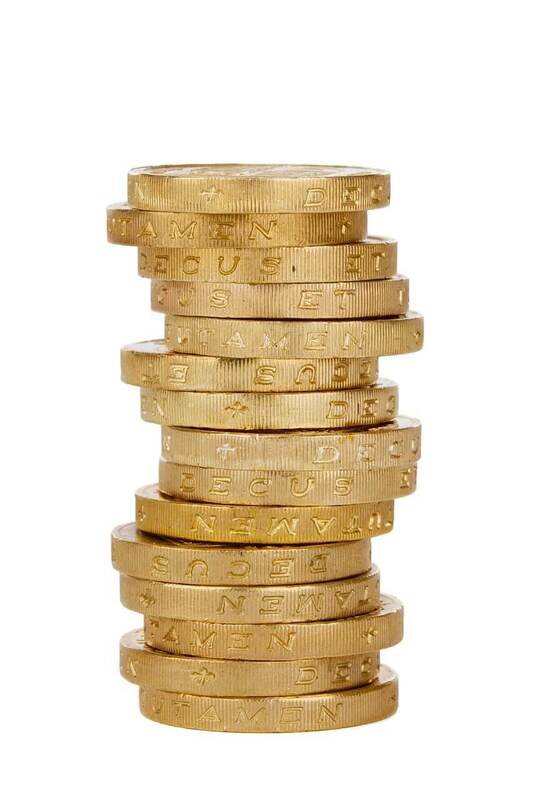 So in one year, I saved £22.53 now that may not sound like a lot but all these little things add up. Add that to the £84 per year saving I made by switching to reusable sanitary towels back in 2015, I’m definitely starting to notice the difference. They’re not the only savings I’ve made by switching to reusable either. 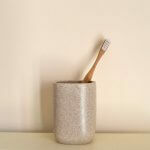 I now no longer buy dental floss, disposable plastic razors, or even deodorant. and that is just a few of the recent articles. Wherever you look at the moment it seems wet wipes are a hot topic and rightly so. As well as being harmful to our planet these blockages cost the UK £100m every year! If there was ever a time to make the switch to reusable wet wipes it’s now. As the wipes are made from natural materials and rely purely on water and essential oils they make an excellent choice for your skin. No nasty chemicals involved! So if you are considering making the switch to reusable wet wipes I would highly recommend *Cheeky Wipes. 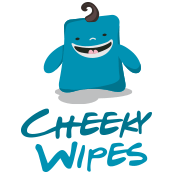 As I loved Cheeky Wipes so much I decided to become an affiliate for them. 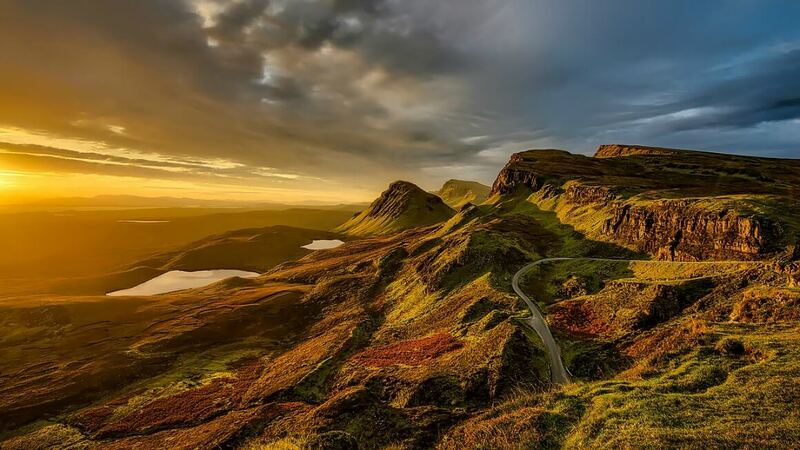 This means if you buy the product through my *affiliate link I will receive a small commission from the sale at no extra cost to you. 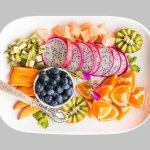 As always, I only ever recommend products or services that I either use myself or I feel will help you to live a more sustainable lifestyle. For more info visit my terms & conditions page. I love finding reusable products whenever I can. We have so much waste in our house already! Thanks for the tips!